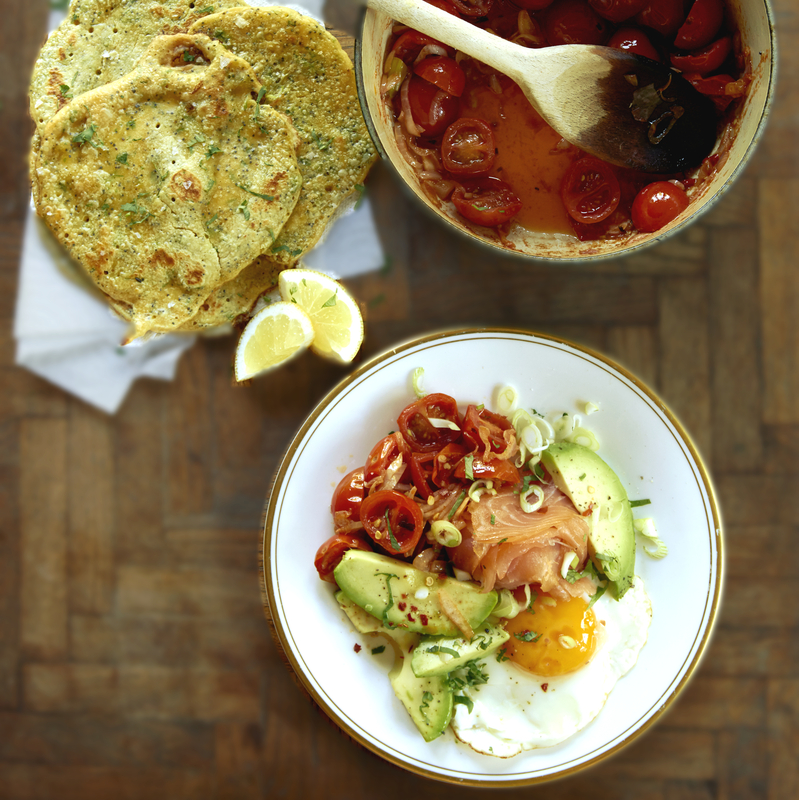 In 2005 on honeymoon in South America I discovered Heuvos rancheros. To be fair, I didn’t actually discover them, they were on the menu. Corn tortillas with a spicy tomato sauce and soft fried eggs was a real treat. The chilli really gives you a little kick in the morning. I’ve taken that and added it to a classic mix of smoked salmon, avocado and egg and changed the tortilla for chickpea flatbreads to keep the carbs down. They also add a nuttiness to the dish and are quite a bit easier to make. Use as much or as little chilli as you like and make sure the avocados are nice and ripe. 1. Mix the flatbread ingredients together in a bowl until you have quite a loose paste.